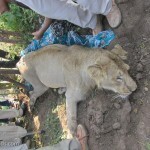 Every day the world becomes a less favourable place to live for human beings as well as other species. The most dominant species on the earth – the homo sapiens – have systematically sacrificed the land, water and air for their material progress. Though euphemistically termed as development, the monstrosity that has been unleashed in its name has ensured that all life supporting elements in this earth are being swiftly and steadily destroyed. The proponents of this development model are as relentless in their pursuit of “wealth” as the infamous Attila-the-Hun that they are least bothered by the trail of destruction and toxic lands, water and air they are leaving behind. Attila-the-Hun’s victims atleast could survive in poverty and try and rebuild their lives. However, the victims of today’s poison spewing factories have nowhere to go as the air, earth and water is poisoned forever. 1565 years have passed since Attila-the-Hun’s rule. However the way the common men and women couldn’t resist or raise their voice against the plunder during the rule of Attila-the-Hun (434-453 C.E.) similarly people in India today cannot raise their voice without inviting swift retributions. On 22nd May, 2018 around 5000 local people had gathered to participate in the 100th day of their Sterlite Protest in Tuticorin in Tamil Nadu. They were denied permission to take a rally to the Sterlite Copper Smelter plant of Vedanta Ltd. which had been closed for the last 100 days. The protesters wanted permanent closure of the polluting plant which had been operating since 1997 attributing improper waste and affluent disposal which has been leading to major health problems for local people. In 2013 there was a gas leakage from the plant and locals say that the incidences of throat and eye cancer has increased over the years. On March 23, the Sterlite Plant had emitted a massive 2941.12 mg/cubic meter of sulphur dioxide which is nearly the maximum that the measuring equipment can record. The emissions from the Sterlite plant caused even the leaves and plants to wither and drop. Farmers say the pollution from the plant has poisoned the crops as the Sulphur dioxide mixes with moisture and becomes Sulphuric acid and burns up the plants when it rains. Protesters say that independent tests of the soils have revealed very high levels of arsenic, cadmium. A 2005 Government study found that the Sterlite smelter had leaked aresenic and heavy metals into the water and soils making it very toxic. So the protesters were unrelenting in their demands and took a march to the collectors office. Police fired and killed 13 of the protesters. Videos captured of the incident shows someone instructing a police commando to fire saying “atleast one should die”. Unfortunately, this mass murder of 13 protesters was also justified by the Tamil Nadu Chief Minister E.D. Palanisamy by saying “If someone is attacked, the natural course would be to defend and safeguard themselves. This is what has been done by the police in response”. When people, protesting against the impact of pollution caused by industries who were given permission to operate by the Government, are killed in cold blood by arms of Government, it is clearly the Government which is taking sides and is complicit in this illegalities caused by the industry. The basic norms of governance is broken. And this is not an isolated incident as the Governments both State as well as Central Government these days are seen repeatedly bending backwards to uphold the narrow interests of the industries. It is another matter that the scale of elections in India is such that the parties need funds and the industries are the largest contributors, often anonymously, to the ruling party. With the complete lack of morality in politics these days, the Governments ruled by unethical politicians are over eager to please their benefactors and either take actions detrimental to the interests of the common man or go to the extreme and take lives of common men and women. This political angle is what is disconcerting and hurting the preservation of our wilderness areas and wildlife and has virtually decimated the health of our environment in our wild lands as well as in our cities. A decade ago, George Schaller, one of the most noted field biologists and naturalists in the 20th century, had voiced similar thoughts. 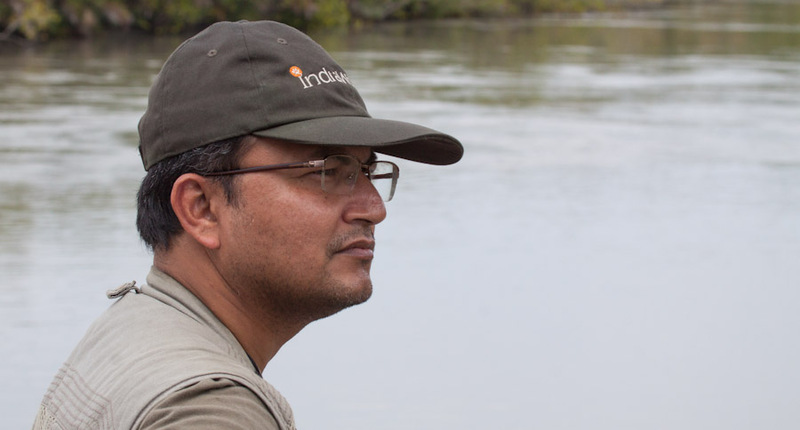 George Schaller had said “Field biologists, such as Karanth and Chundawat, can use technology in the form of satellite radio-collars, camera traps, DNA analysis of scats and other techniques to determine population size, movement patterns and other aspects. That provides extremely valuable information. 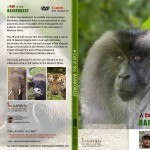 Such knowledge is essential for conservation but it is not conservation. 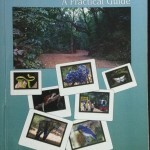 Conservation, in the final analysis, is culture, economics and politics.” (DataQuest, June 27, 2007). Politics is always reflection of the morals of the prevailing society. Today it is fuelled by greed. When there is greed, people lose sight of the big picture. So they forget that their short-sighted approach is going to hurt everybody in the long run. People think that by virtue of illegally grabbing resources they would be in a better position than the other people. However diseases, calamities and death will spare no one. Illegal mining has been ruining much of the country side across India. Whether it is Rajasthan, Haryana, Odisha, Bihar, Karnataka, Goa or the North-East, the illegal mining lobby along with tacit help of politicians and local authorities continue their work. Streams are drying, air has become extremely polluted, however, the illegalities continue. A few honest officers have been killed while facing the sand mining and mining mafia. Some others have been transferred. So other officers prefer to keep quiet despite strict instructions from the Supreme Court. The people generally have a perception that there is a unholy nexus between politicians, industrialists, land grabbers, police and mafia. However, it is time for the common man and woman to wake up because they can no longer remain aloof that someone else is the victim as the illegalities are impacting them as well. The unprecedented dust storms as well as rain and storms in Delhi and North India recently during the peak of summer killing many and devastating scores of houses should be noted for its unnatural timing. Monsoons this year is hitting India’s landmass earlier than normal. These kinds of climate change related events are going to be frequent. One should remember that India has a long coastline. The communities living in the coast as well as some of our big cities like Mumbai, Chennai, Kolkata are all going to have some areas submerged due to sea level rising and will face the brunt of storms. Most of our big cities face massive air pollution problems. Delhi’s air is far worse than even that of Beijing. 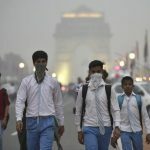 Indian cities dominate the list of infamous Top 20 most polluted cities of the world. The pollution due to relentless unplanned construction of buildings, dysfunctional public transport leading to millions of vehicles on the road and polluting the air and lack of adequate green cover to help catch the particulate matter and act like lungs is hurting our big cities. Unfortunately planning by our authorities have failed. Our cities are becoming bigger and bigger with each passing day. The complete breakdown of our village and rural ecosystem has made people flock to the bigger cities in search of jobs. There is inequitable growth in India. 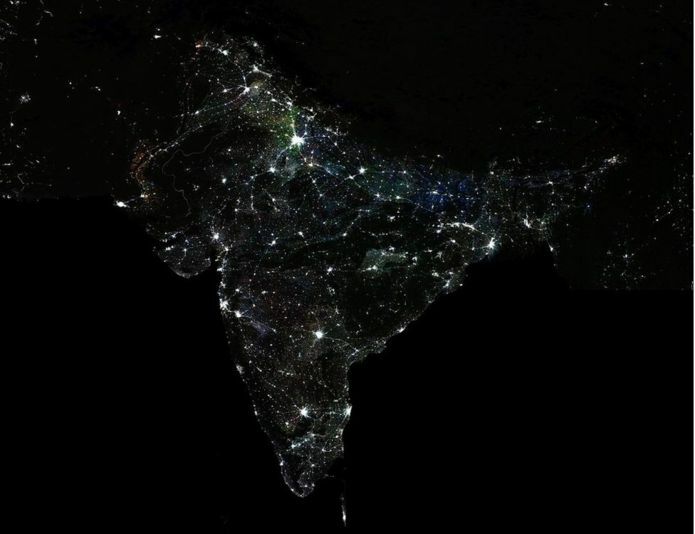 And economists Praveen Chakravarty and Vivek Dehejia who are studying night lights in Indian sky to correlate incidences of brightness of the night sky with economic development have said that 90% of all the districts are only a third as bright in the night as the top 10% of all districts. (BBC News, 26 May 2018, Inequality in India can be seen from outer space, https://www.bbc.com/news/amp/world-asia-india-44193144 ). Ofcourse, too much of light is not a great thing for wildlife or even for us humans as we don’t get the deep sleep state because of bright lights. However, lights shows concretisation and urbanisation as well as industrial activities, more trade and commerce through malls and entertainment areas among other things. Unless our Government handles this inequitable growth, one group of people are going to fight against another after feeling left behind in the race to urbanisation and more revenue yielding activities. This inequitable growth is also the bane of our big cities. Our cities don’t have the capacity to sustain tens of millions of people. Our cities are collapsing under their own weight. So unless the people are aware of the problems and force the Government, we are starring at a dystopian future. 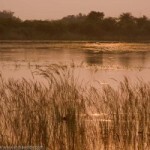 It should be noted that about 32% of India’s land is facing degradation. 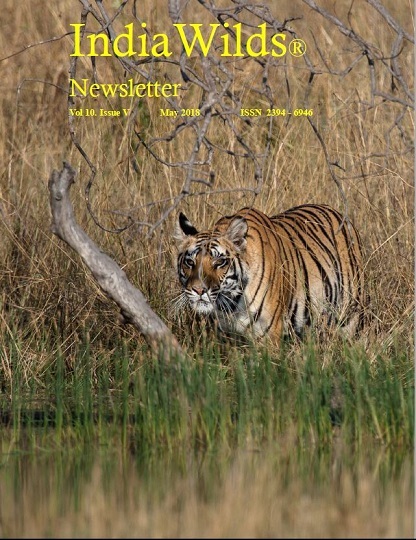 (https://www.indiawilds.com/diary/indiawilds-newsletter-vol-9-issue-vi/) Climate change is going to exacerbate this further and that is going to add to the desperation of the farmers. In March, 2018 about 50,000 farmers marched peacefully to Mumbai to meet the Chief minister. These farmers had marched for days in the hot sun to reach Mumbai. Though it was a peaceful event, however, in future it may not remain so. The Government has to be just in its dealing with every group of citizens of this country. 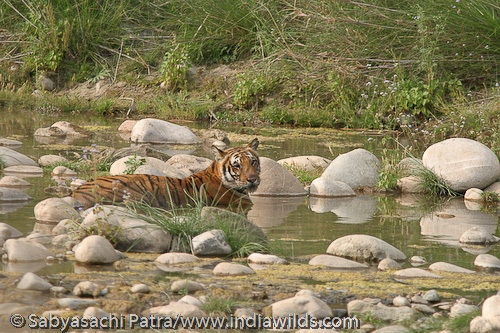 Wildlife, Forests and environment is no longer an esoteric subject to be wished away as the domain of a few conservationists and environmentalists. The anti-environment and anti-forests actions are contributing to Climate change. There is an intricate relationship between preserving our forests, rivers, lakes, oceans ie. the entire ecosystem and our wellbeing. When we destabilise one part in the name of development, the impact is felt elsewhere. The future of the people of this country is being impacted by climate change. Unfortunately despite talking about Climate Change, the present Government is seen as Industry friendly with its actions impacting wildlife, forests and environment. So if the Government doesn’t act soon, the situation would quickly spiral out of control. 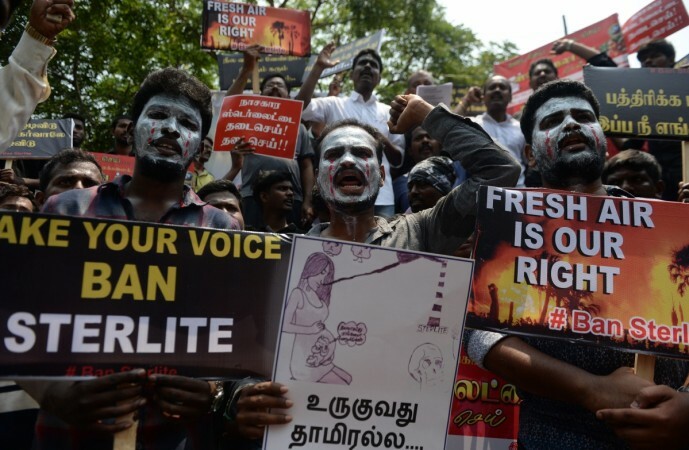 Initially when people protest, the corrupt Governments may try to suppress it like the incident where the Tamil Nadu Government murdered 13 people during the Sterlite Protest. However, when the entire country understands that we can’t eat money and when they realise the fact that sacrificing our natural world for the sake of industrialisation and concretisation is leading to pollution and diseases, then the Governments can no longer take a short sighted approach. 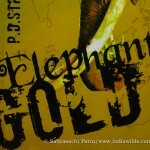 There was a time when millions of Indians had perished in famine. Today millions are being pushed into poverty after exhausting all their money in trying to pay hospital bills. Cancer, bronchitis and other such diseases have become way too common. With health insurance becoming a joke, people are longing for a healthy life without the impact of poisonous air, water and toxic vegetables due to synthetic pesticide and fertiliser use. India became independent from the British in 1947. Today we need to start another independence movement – independence from pollution. Our citizens need to have their Right to Clean Air, Right to Clean Water and Right to live in sync with nature. The fact that cities not only in India but throughout the world are disconnected from Nature was highlighted by the International Union for Conservation of Nature (IUCN) President Zhang Xinsheng during his key note address to the 2018 Global Forum on Urban Resilience and Adaptation held in Bonn. Mr. Xinsheng said that we must connect cities with nature to build resilience in the face of climate change and natural disasters. The IUCN President said that rapid migration from rural to urban areas is a challenge for both humans and nature and 70% of the world population is projected to live in cities by 2050. The more people settle in cities, the more is the risk of them being isolated from nature. Solutions to challenges such as global warming and increasing natural disasters must come from those managing and governing cities, he added. In order to build resilient cities, we must recognise the connections between them and their natural surroundings. We have to find nature-based solutions to bring humans closer to nature and address the complex challenges like climate change. It is not only the problems of air and water pollution and land degradation leading to diseases but the disconnect from nature is also leading to higher levels of stress giving rise to mental health issues. Mr. Zhang Xinsheng also declared IUCN’s commitment to supporting the the United Nations Framework Convention on Climate Change (UNFCCC), the International Council for Local Environmental Initiatives (ICLEI) and other organisations, as well as local authorities, in working towards the Sustainable Development Goals (SDGs) and the goal of limiting global warming to below 2oC. He emphasised the role of the Global Forum in helping achieve SDG Goal 11 – to “make cities and human settlements inclusive, safe, resilient and sustainable”. He closed his keynote speech with a reminder that IUCN is present in Bonn through its Environmental Law Centre, an essential partner to achieving resilient cities. Almost 300 hundred representatives from global, national and local authorities, NGOs, academia and civil society gathered for the Forum, organised by ICLEI Local Governments for Sustainability in Bonn from 26 to 28 April. Zhang Xinsheng participated in the Global Forum as a guest of honour and delivered his keynote speech during the dinner reception hosted by Ashok Alexander Sridharan Lord Mayor of Bonn and Monika Zimmermann, Deputy Secretary General of ICLEI. While in Bonn, President Zhang Xinsheng also met with Patricia Espinosa, Executive Secretary of the United Nations Framework Convention on Climate Change (UNFCCC), with whom he exchanged ideas on how to address climate change using Nature-based Solutions. An IUCN co-authored assessment of global land degradation and restoration report has an alarming finding that the land degradation is currently severely impacting the well-being of two fifths of humanity. The Land Degradation Assessment Report, produced by Intergovernmental Science-Policy Platform on Biodiversity and Ecosystem Services (IPBES), is the first comprehensive examination of the global status and trends in land degradation. It drew on more than 3,000 scientific papers, government reports, and indigenous and local knowledge sources, and involved over 100 leading experts from 45 countries. The report was approved by 129 countries at the Sixth Plenary of IPBES in Medellin, Colombia. The assessment reveals that land degradation – the loss of the integrity and productivity of the land – already has far reaching implications, impacting food, water and energy supply, as well as the livelihoods of at least 3.2 billion people (two fifths of the world’s population), especially marginal groups and the poor. Land degradation decreases global food yields, causes biodiversity loss and hampers the delivery of ecosystem services such as water provision. The report found that Land degradation is also a major contributor to climate change, one of the impact being the carbon stored in soils get released due to land degradation. Between 2000 and 2009, land degradation was responsible for annual global emissions of 3.6–4.4 billion tonnes of carbon dioxide, and further losses of 36 gigatons of carbon from soils, especially from sub-Saharan Africa, is projected by 2050. Climate change will cause more frequent and intense droughts, floods and other extreme weather events. Four fifths of the world’s population already live in areas where there is a threat to water security. There will also be changes in the distribution of invasive species, pests and pathogens, affecting human health. Land degradation is largely driven by increasingly high global consumption patterns and unsustainable production, placing ever greater demands on land. Governments, through policies and laws, prioritise food production and infrastructure to meet this demand at the expense of natural systems, whose existence is crucial for continued human well-being. The report maintains that increasing transparency and access to information by governments, public institutions and businesses regarding the impacts of consumer goods and traded commodities will increase public awareness and foster calls for sustainable land management. Reducing food waste, addressing unregulated trade and controlling subsidies, are also suggested to enable the sustainable and long-term stewardship of land. India has planned to achieve Land Degradation Neutrality by 2030. India’s environment and forests minister Dr. Harsh Vardhan launched the report on “Economics of Desertification, Land Degradation and Drought” and Emphasised the importance of land as a resource and the need to protect and harness its resources in a manner that does not adversely affect its health in the inaugural session of the four-day Asia-Pacific Regional Workshop of the UN Convention to Combat Desertification (UNCCD) at Delhi. In the global context, nearly 24 billion tonnes of fertile soil and 27, 000 bio-species are lost every year. Nearly 30 per cent of the world’s population lives in dry areas and 8 out of 21 UNESCO World Heritage Sites are in drylands. India’s environment minister mentioned Sahel Integrated Lowland ecosystem Management (SILeM) in Burkina Faso, besides the Capacity and Management Support for combating land degradation in dryland ecosystems in China as some of the success stories. In the Indian context, he highlighted the Sustainable land, water and biodiversity conservation and management for improved livelihoods in Uttarakhand watershed sector, as well as Sustainable Rural Livelihoods Security through Innovations in Land and ecosystem management in India. This Regional Workshop in India is the fourth in a series of UNCCD Workshops held around the world, with Turkey, Ethiopia and Brazil hosting the first two Workshops for their respective regions. This four-day Workshop (April 24-27, 2018) will participation of representatives from nearly 40 Asia-Pacific nations. The Workshop will also train delegates from 12 land degradation prone states in India. Scientists and academicians from premier scientific and research-based institutions of the country, along with senior officers of Central Government ministries that work closely with the Ministry of Environment, Forest and Climate Change to monitor the progress of the Convention in India, are also participating in the Workshop. Desertification was addressed for the first time in 1977 in the United Nations Conference on Desertification. This was followed by the adoption of the United Nations Convention to Combat Desertification in Paris on 17th June 1994. The Convention entered into force in December 1996. It is one of the three Rio Conventions, along with United Nations Framework Convention on Climate Change (UNFCCC) and Convention on Biological Diversity (CBD). India became a signatory to the Convention on October 14, 1994 and ratified it on December 17, 1996. The Ministry of Environment, Forest and Climate Change (MoEFCC) is the nodal Ministry to co-ordinate all issues pertaining to the Convention. The Convention holds a biennial Conference of Parties (CoP) to the Convention and the last CoP was held in Ordos, Inner Mongolia, in China, in September 2016. At the end of the programme, certificates titled ‘Green School/college’ will be awarded to institutions that declare themselves free from plastic pollution. The programme will be monitored by senior officers of the Ministry, regional offices of MoEF&CC and district administration. Also, MoEF&CC will issue certificates to all participating schools and colleges as an appreciation of their efforts. Besides the above mentioned cleanliness drives, the Ministry will organize a mini-marathon at Vinay Marg on June 3, to spread awareness on proper utilization of plastic. The marathon will be attended by students from Delhi-NCR. Around 10 thousand to 15 thousand people are expected to participate in the mini-marathon. Simultaneously, marathons will also be organized in five other cities – Bengaluru, Ahmedabad, Gangtok, Bhopal and Bhubaneswar the same day. India is the global host of World Environment Day celebrations 2018, the largest UN-led celebrations on environment. The theme of this year’s edition of World Environment Day is – “Beat Plastic Pollution”. In this regard, the Ministry has drawn up several programmes and activities scheduled to begin from May 2018 onwards. Some of the activities drawn up for the World Environment Day celebrations include – activities in Vigyan Bhawan, exhibitions on Rajpath lawns and activities in various states. Summer is known to be the worst time for forests these days as forest fires are reported from various forests across the country. At the moment forest fires are raging in the forests of close to many villages like Kokowal, Harman, Nainwa, Garhi Mansowal, Kot, Barapur, Chak Rautan and Sadarpur sub-division of Garhshankar. 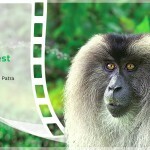 Vast forest areas have become charred and there is speculation about major loss of wildlife. While the large wildlife species often escape, the smaller species including herpeto-fauna can’t escape the raging conflagration and die a painful death. The local forest department gets fire tenders from Hoshiarpur and Nawanshahar to control the fire. Due to forest fire five people were admitted to PGIMER in Chandigarh for treatment. One of them later died due to the extensive burns. There is often a delay of one and half hours before the fire tenders can reach and by that time the forest fire would have increased in intensity making it difficult to contain and the destruction is high. Local people have demanded placing fire tenders close to their villages. There are many people living cheek-by-jowl with the forests and a sudden forest fire leaves them no where to go. In Chakk Rautan, the forest officials managed to stop the fire before it reached the slums of migrant labourers. The constant smoke from the forest fires make it difficult for the people to breathe. Forest fires can start when someone carelessly throws a cigarette or beedi without extinguishing it. The forests during this time of the year are dry and the bushes and shrubs also dry up along with the grasses. So one small spark immediately becomes a raging fire. People need to be careful about this. The forest department doesn’t have sufficient staff to move from village to village and caution all the people about the precautions they need to take from forest fire. However, calling meetings of village panchayats and announcement over loudspeakers can be done to inform people. According to the forest department they create firelines in the Government owned forests so that any fire can be stopped from moving over to the other side of the firelines. 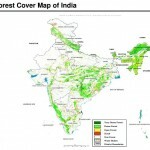 However, the forests in Garhshankar are in private lands. So the forest department can’t undertake the fireline work. Prevention is better than cure. This mantra has to be instilled in the people to ensure that forest fires are not accidentally caused by people. A huge number of dead fish started floating in the river Beas near the Beas town after a sugar factory released effluents into the river. The site is about 40 kilometres from Amritsar. Experts found that molasses from the sugar factory was released into the waters. The local Punjab Pollution Control Board (PPCB) has ordered closure of the factory. The extent of the pollution is such that it is estimated to have reached some 30-35kms of area in the river downstream. So fresh water has been released from the Pong Dam to dilute and flush away the polluted water which had turned rust brown in colour. The molasses casued the level of dissolved oxygen in the water to drop down resulting in the mass death of the fishes. These kinds of situations can immediately cause health problems to many people on the consumption of the river water and fishes. Normally, people don’t realise that fishes have been procured from contaminated water or fishes dying due to toxicity are being sold in the market. It is difficult to prevent unethical people from selling such fishes. The NGT has sought response from Centre and UP Government on illegal sand mining in Ken and Betwa rivers in Banda, Hamirpur, Jalaun and Jhansi districts of Uttar Pradesh. This notice is based on the petition filed by on Prem Singh Yadav of Hamirpur alleging large scale illegal sand mining in the rivers in complete violation of the Environmental Clearance conditions and mining lease deeds. 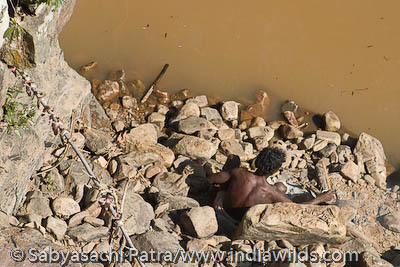 Mr. Yadav had alleged that one of the respondents is using in stream mining in the river bed using Pockland excavators. He has asked the NGT to impose heavy penalties and withdraw the Environmental clearance to the concerned private parties. So the NGT has also issued notices to the UP Pollution Control Board and the State Environment Impact Assessment Authority for their response. It is important that civil society plays a role in ensuring that the private parties stay honest and stick to the environmental clearance norms granted. Else, the environmental clearances become a joke and our nature and environment is destroyed beyond repair. World Environment Day will be celebrated on June 5th, with events organized in the lead-up to the day. Events are being held across the country, with additional celebrations around the world. New Delhi, 25 May 2018 – As global hosts to World Environment Day 2018, India today launched its official countdown to June 5 with a historic slate of activities ranging from nationwide clean-ups, to single-use plastic bans across States, Universities and National Parks. At a press conference here, government officials outlined plans from communities large and small aimed at beating plastic pollution through civic engagement and celebration. With support from an inspiring cross section of Indian society, ranging from cricket pitches to board rooms, the scope of efforts in India represent an unprecedented national commitment to this global cause, with the promise to make this the largest and most substantial World Environment Day ever. The press conference marked the launch of a 10-day countdown to World Environment Day on June 5. The countdown culminates with the opening of the World Environment Day Exhibition in New Delhi on June 2,showcasing green innovations and programs from every corner of the country. Plenaries on plastic pollution, marine litter and, new plastic economy, extended producer responsibility and many others are also being organized. Environment experts, thinkers, corporates, industries and multinational companies are participating for a truly engaging global dialogue on environmental challenges. State environment ministers will also meet to discuss the way forward on India’s green future and the global push to beat plastic pollution. And finally, on June 5, Prime Minister Modi will visit the exhibition and make a global call to action, outlining India’s commitments in the battle to beat plastic pollution. The events highlight India’s leadership of a movement for a simple yet ambitious goal: Inspire the world to beat plastic pollution. Complimenting this nationwide effort, are global initiatives taking place in in hundreds of countries, mobilizing dozens of partners and connecting millions of supporters worldwide. It’s all part of an unprecedented effort that invites us to consider how we can make changes in our everyday lives to reduce the heavy burden of plastic pollution on our natural places, our wildlife and our own health. Ranging from record-breaking beach cleanups to inspiring art installations the sprint to World Environment Day, launched here today will bring together interests from all parts of the globe and all sectors of society for this common cause. 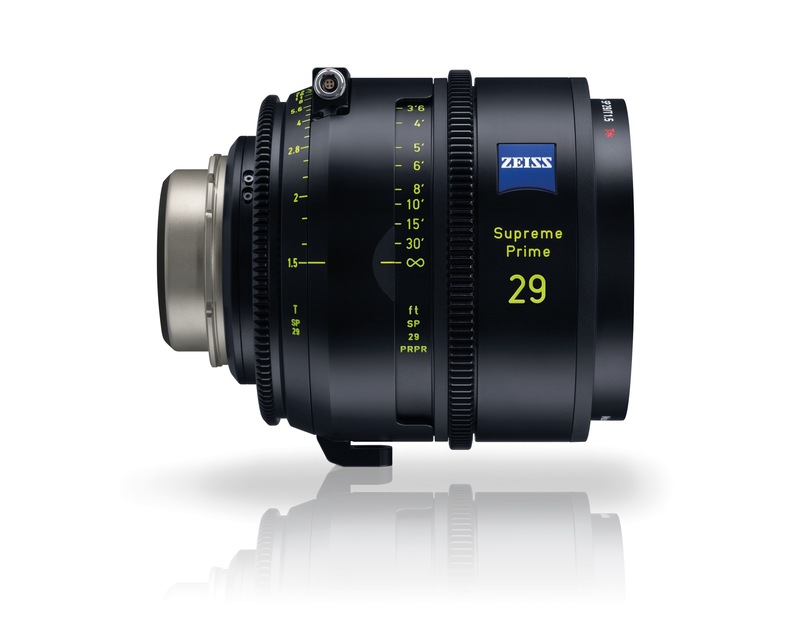 Zeiss has launched the Supreme Prime series of lenses to cover large sensor sizes like the Arri LF format. All the lenses in the Supreme series cover full frame and larger sensors with image circle of 46.2mm. Zeiss has paid attention to provide consistent coverage as well as color rendering, aperture, size, weight and ergonomics. The Supreme Prime lenses are color matched across the full range and most feature a fast T-stop of T1.5. The Zeiss Supreme Prime lenses series will have 13 lenses from 15mm to 200mm. Though The 15mm and 150mm will be T1.8 and the 200mm will be T2.1. Rest all will be T1.5. All the lenses will have Zeiss eXtended data and the Cooke /i metadata protocols where each frame will have the metadata recorded. It will be great for VFX apart from other uses. Zeiss claims that all the lenses will have a very smooth transition between in-focus and out of focus areas which characterize the unique look of the ZEISS Supreme Prime lenses. This adds richer texture and greater depth to the image. Below is a reel released by Zeiss shot using the Supreme Prime lenses. RED Digital Cinema is advancing its product portfolio of high-quality cameras and sensors with a focus on simplicity, price and quality for customers. Beginning today, RED’s camera line-up will be modified to include one DSMC2 camera BRAIN with three sensor options – MONSTRO 8K VV, HELIUM 8K S35 and GEMINI 5K S35. The single DSMC2 camera BRAIN includes high-end frame rates and data rates regardless of the sensor you choose and in addition to this new value, the streamlined approach will result in a price reduction compared to RED’s previous camera line-up. RED’s DSMC2 camera BRAIN is a modular system that allows a shooter to configure a fully operational camera setup to meet their individual needs. RED offers a range of accessories including display and control functionality, Input/Output modules, mounting equipment, and methods of powering the camera. The DSMC2 camera BRAIN is capable of up to 60 frames per second at 8K, offers 300 MB/s data transfer speeds and simultaneous recording of REDCODE RAW and Apple ProRes or Avid DNxHD/HR recording. The DSMC2 BRAIN camera BRAIN paired with each of RED’s sensor options provides the ultimate blend of flexibility and performance at an accessible price. DSMC2 with MONSTRO 8K VV sensor offers cinematic Full Frame lens coverage, produces ultra-detailed 35.4 megapixel stills, and delivers 17+ stops of dynamic range. The DSMC2 MONSTRO camera is priced at $54,500. DSMC2 with HELIUM 8K S35 sensor is the recipient of the highest DxO score ever, HELIUM delivers 16.5+ stops of dynamic range in a Super 35 frame. The DSMC2 HELIUM camera is priced at $24,500. DSMC2 with GEMINI 5K S35 sensor leverages dual sensitivity modes to provide creators with greater flexibility using Standard Mode for well-lit conditions or its Low Light mode for darker environments. The DSMC2 GEMINI camera is priced at $19,500. As a result of this change, RED will begin to phase out offering new sales of its RED EPIC-W and WEAPON camera BRAINs immediately. In addition to the changes to the camera line-up, RED will also begin offering new upgrade paths for customers looking to move from older RED camera systems or from one sensor to another. There is no official confirmation from RED about the Raven camera which had attracted lot of people at the lower end. There is speculation that the RED Raven will be sold till stocks last and there may not be any upgrade path to these cameras.